Open Country H/T is an all-season highway terrain tyre designed for optimal ride comfort, quiet performance and long wear life. 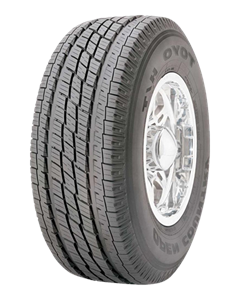 Suitable for Pickup Trucks,Vans and SUVs , Open Country H/T offering a stylish tread appearance to complement its safety in both wet and dry conditions. Sorry, we currently do not have any tyres with the Open Country HT pattern in stock.